Aikido is a Japanese Budo (martial art) developed by Prof. Morihei Ueshiba in the early 1900s. It is based on principles of blending with your attacker and neutralizing aggression. Aikido is derived from traditional martial arts like Jujutsu (free-hand techniques) and Kenjutsu (sword techniques). Unlike many martial arts, Aikido is non-competitive. Training is cooperative. Students work to develop good character and evolve the creative side of the mind. Budo emerged from the art of combat practiced by the Samurai warrior class over 500 years ago. Samurai lived close to death and war was a constant affair in feudal Japan. The Samurai ruled for over 350 years. Achieving this required great discipline. Samurai studied Budo to cultivate integrity, mental discipline and physical well-being. 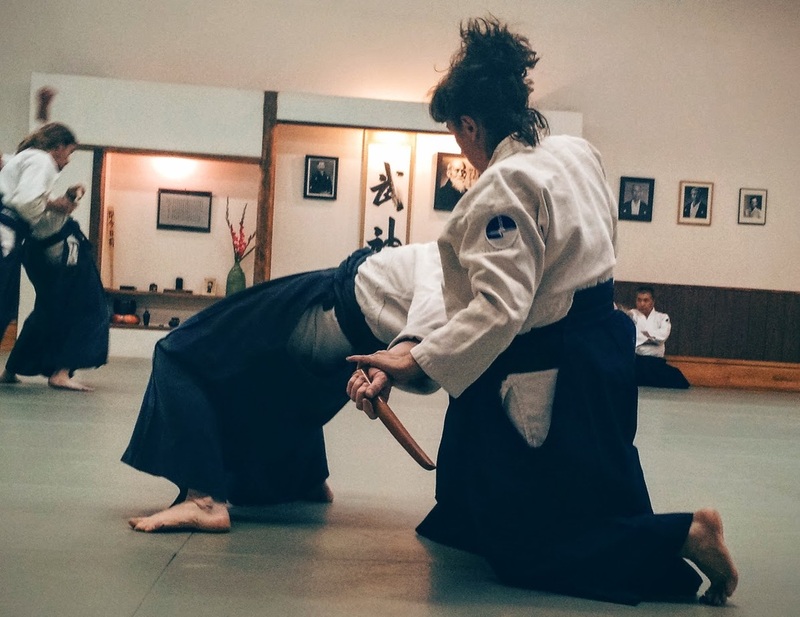 Modern Aikido training has its roots in this storied history. Today, Budo has been transformed into a process of developing good character, physical health and inner strength. The self-discipline, self-awareness and critical decision-making skills gained from training in Budo are as applicable to modern life as they were to feudal warriors.